The news about your brain! So much is being written and talked about how the brain works and what we can do to keep our brains active and healthy. We know, now, from the science that is available that we can actually improve our brain function by doing some things. Many of us used to think that our brains deteriorated with aging. That can happen unless we pay attention and do what we can, maybe even do what is hardest. 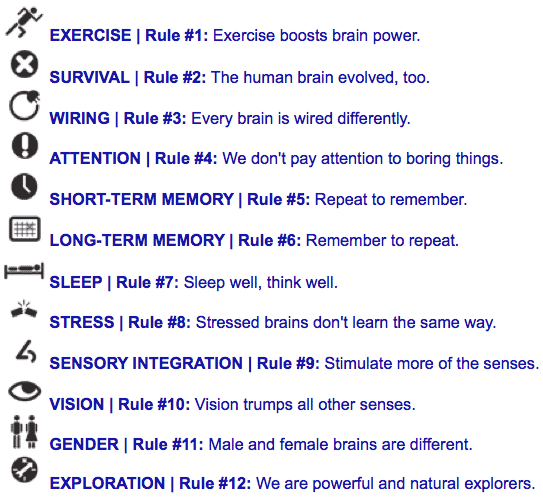 There are a variety of computer based programs to consider using to stimulate your brain, And, here are some other tips from the excellent book, Brain Rules, by John Medina, http://www.brainrules.net/exercise.